No scientist is safe from ending up as coauthor on a paper with manipulated data. Today’s science is an international and collaborative enterprise, with many contributors from several labs involved on the production of one research paper. It can be a rogue early career researcher or a rogue professor who provided rigged data. But eventually it becomes your responsibility to act. I know of several cases where scientists retracted own papers after having become aware of manipulated data therein. Some examples are the plant scientists Jonathan Jones and Pamela Ronald, they only gained additional respect for such brave acts. Even Arturo Casadevall, professor and department chair at Johns Hopkins Bloomberg School of Public Health, AAAS Fellow, deputy chief editor of Journal of Clinical Investigation and Founding editor-in-chief of mBio, had his Road to Damascus moment now. Only that it was not a Saul to St Paul conversion, it was the St Paul who recognised his hypocrysy and promised to better. Casadevall’s scientific specialty is microbiology and immunology, but he is well known beyond this domain, as the probably the most recognized patron saint of research integrity. His peer reviewed studies on the publish-and-perish culture, data manipulation and scientific fraud in the context of retractions are highly cited and make scientific news every time another one appears. Many of those were coauthored by the microbiologist colleague Ferric Fang, and more recently, Casadevall liaised with another fellow microbiologist, the image duplication sleuth Elisabeth Bik. She studied over 20,000 papers and together Bik and her coauthors determined that 4% of them contained image duplications. A follow-up study by Bik and Casadevall revealed that 59 out of 960 microbiology papers contained such irregularities. It proved worse with papers not yet published: 55 of 200 screened manuscripts had issues with their images. Now however, first stones were cast against Casadevall’s own published peer reviewed research papers in microbiology and immunology. This is again a situation where it matters less who manipulated data and why, but how the professors in charge respond to the evidence. Casadevall’s expressed views when his own research was concerned have evolved in a brief Damascene moment, and a sinner St Paul promised to become a virtuous St Paul. A perfect story for Easter. It is almost credible. Almost, unless you believe Vecchiareli’s novelty idea that one can strip one sample of a blot and re-blot it with another sample. 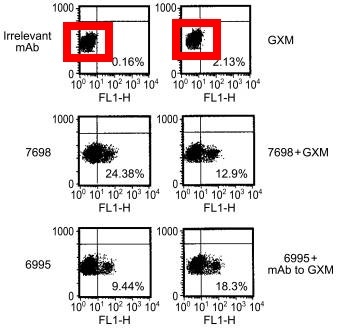 Look at the last sample of each blot, highlighted with red circle: it shows different experiments, described in the figure legend as cell cultured “in the presence or absence of caspase-8 or caspase-9 inhibitors (IC-8 or IC-9; both dilution 1/1000)”. Those are different cultures, treated with different inhibitors. Meaning, the figure does show two physically different blot membranes, but the same loading control, which can belong to any of the two or even to none of these gels. Same categorization was done by Casadevall before, in Bik et al mBio 2016 and in Fanelli et al BioRxiv Preprint 2017. It is true, both figures show same cells equally treated. But there is a significant difference: Figure 1 says “After 2 and 18 h (A) […] of incubation, cell lysates were analyzed by western blotting” while the Figure 6A contains no data from 2h incubation, as the legend says “After 18 h of incubation, cell lysates were analyzed by western blotting“. This means, the actin loading control from Figure 6A purportedly showing samples harvested after 18h incubation was cropped and reused to show the samples harvested after 2h incubation. Or maybe the other ways around, or the actin gel came from somewhere else altogether – if the author trolls like this, everything is possible. That is actually a very outrageous explanation. Granted, it can happen to anyone to have accidentally reused same flow cytometry (FACS) file. But then the quantified numbers would be same in both panels. This is because when a flow cytometry experiment is quantified, same gating is applied to all samples. To apply deliberately variable gates to each sample would be data manipulation, as I explain here for the zombie scientist Sonia Melo and for another immunologist, Andrea Cerutti. Yet Vecchiarelli seriously wants us to believe that the difference in quantified numbers proves that the results are reliable. She also educates us the negative FACS controls are “irrelevant”. Maybe in her Perugia lab, but not in the real world of science. To me, all this proves that either the authors rigged FACS settings, or covered up their file duplication by posting different numbers. Either way, this looks like Casadevall’s own category 3, which suggests “outright falsification or fabrication“. “We suggest that scientific rigor combines elements of mathematics, logic, philosophy, and ethics. We propose a framework for rigor that includes redundant experimental design, sound statistical analysis, recognition of error, avoidance of logical fallacies, and intellectual honesty”. Does it apply to Casadevall himself? Copyright © 2016 Casadevall and Fang. Now put Casadevall’s Rigor Pentateuch into the context of the following figure. Oh well, that’s OK then. But it was not just papers coauthored by Vecchiarelli. Together with Alexandre Alanio, tenured researcher at Institut Pasteur in Paris, France, Casadevall deployed the Infinite Improbability Drive to generate some remarkably overlapping data. The man is apparently not joking. Well, his own Institut Pasteur recently declared that three different gel lanes can look identical if assembled into a figure, so maybe Pasteur is some kind of a black hole where data is subject to mysterious quantum singularity effects? I had drafted a response to you but after reading your letter to me several times I was not sure whether to send it since your letter implied that you had already made conclusions, as you stated that ‘one sees evidence of research misconduct and intentional falsification of data’. In fact, if we have learned anything about figure problems from the Bik et al MCB and JBC studies is that one cannot discern ‘intent’ from looking at problematic figures. When these have been investigated by institutions and two journals the overwhelming majority (>90%) were found to be errors. Please know that this will be my only response. Thank you for your message. From your letter, the Pubpeer and Twitter comments I assume that it was you who posted the criticisms on those figures. Thank you for identifying yourself. We have taken the Pubpeer comments seriously and responded rapidly. We thank you for alerting us to those figure problems, which provided us with the opportunity to respond in Pubpeer. Responses have been posted to 4 of the 5 Pubpeer comments. I have reviewed the papers and discussed the figure problems with my collaborators and I believe that each was either an error in figure construction or a problem in not stating what was done in the figure legend. One comment has not been answered because we are still trying to find the original data that is more than 13 years old and it can be difficult to reconstruct what was done so long ago. I do not believe that there was misconduct or intent to deceive in any of these cases. I do not agree with your comment that these problems represent ‘a problematic attitude to research integrity, one sees evidence of research misconduct and intentional falsification of data‘. Both Anna Vecchiarelli and Alexandre Alanio are fine individuals who are working very hard to understand fungal diseases in the hope of making better therapies for those affected. They are both scientists with great integrity who are highly respected by their colleagues. Both Drs. Alanio and Vecchiarelli responded right away and agreed to look into the figure issues, which is a measure of how responsible they are. As you know, two studies have now shown that the majority of figure problems (> 90%) are errors in figure construction. The first was the Elisabeth Bik MCB study and the second was from the JCI. I don’t know if you have ever assembled figures for publication but I assure you that it is very easy to make errors when cutting and pasting different files into a composite figure. Until recently, we were not aware of how easy it was to make such errors. In fact, it was not until the work of Elisabeth Bik and others like yourself that the scientific community learned how prevalent these were. The Pubpeer postings to the Vecchiarelli and Alanio papers fall into the figure error category. These figure construction errors or lack of precision in the legend do not affect the conclusions of these papers. We stand by the conclusions of these papers and no retractions are warranted, or planned. Another conclusion from the two published studies on image problems in the literature is that it is very difficult to infer intent from looking at figures alone without reviewing the original materials. From your letter, I understand that you are not completely satisfied with the answers that were provided in Pubpeer. However, these are the answers that Drs. Vecchiarelli and Alanio provided based on the review of the pertinent data from their laboratories. I accept their explanations. Although my last message stated that I would not write further, I take that back. On reflection, both of us are interested in improving science and I respect you for your efforts. I was so upset by your conclusion that there was evidence of misconduct in the figures and in the initial Pubpeer replies from the Vecchiarelli laboratory that I did not consider your criticisms carefully. I apologize for that. However, after I cooled off, I re-read your message, went back to the figures and I agree that the response to the blot showing the IC8 and IC9 lanes is insufficient. Like Anna, I initially totally missed the red circle and focused only on the actin band and the other postings need additional information and may warrant formal corrections. I contacted Anna again urging her to make additional clarifications to pubpeer comments and your criticisms and she already responded that she is contacting the trainees and digging up the original data. I have also spoken to Dr. Alanio about the concern that his Pubpeer response is not clear and urged him to either write a more detailed response in PupPeer and/or post a correction to the Plos Pathogens paper in the journal. I believe that both Drs. Vecchiarelli and Alanio are honest hard working scientists and both to want to correct the literature. I have no reason to believe any of these issues were due to intent to deceive or misconduct. One more thing in response to your last message. I did look at your website and I know that you are a molecular biologist. My prior comment as to whether you had assembled figures simply reflected the fact that just because one is scientifically trained does not imply that one has assembled figures. For example, I have never assembled a figure for publication as this is usually done by my trainees. However, you can be sure that as a result of the work of Elisabeth Bik, yourself and others that I have become much more savvy in inspecting figures for errors. Stay tuned for additional corrections and clarifications. You can be sure that I am committed to getting to bottom of these issues and I have no problem in urging retraction if warranted, or repeating the work if there are any remaining questions about the results. Even though I specifically asked Casadevall to comment on this figure he and Vecchiarelli published, he is not fully there yet. And here ends the parable of St Paul on the road to Damascus. Happy Easter everyone. someone who has published many articles and says with impunity “I have never assembled a figure for publication as this is usually done by my trainees” is not a scientist and should be out of science. Where the trainees trained to make manipulate images? Who did the experiments? who wrote the articles?. Unfortunately there are many people who did not even read the articles that granted them honors. Agree what a horrific claim! Casadevall and Fang. Check their co-authored editorials, especially the dates of publication. 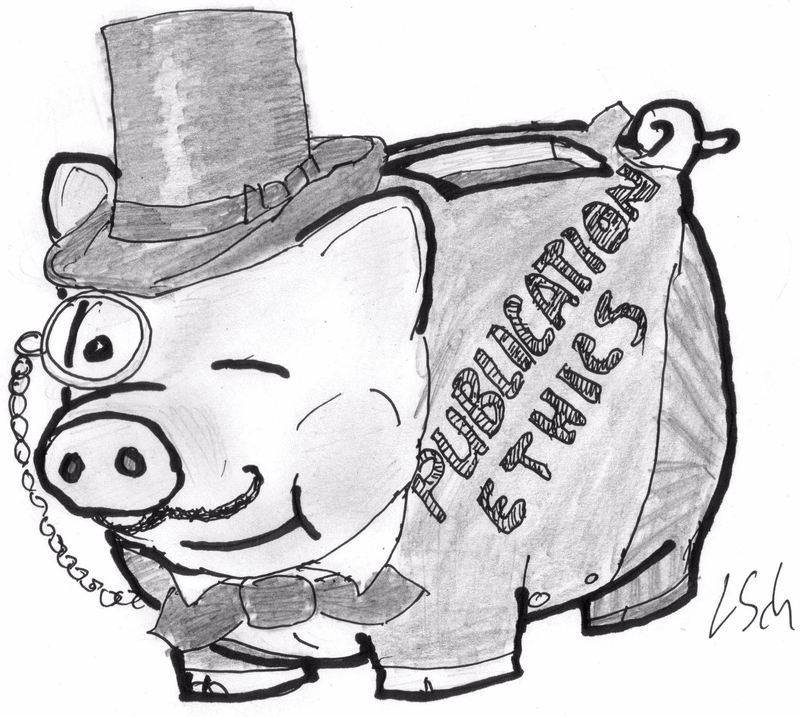 Abuse of editorial power at mBio? You know that he’s not actually a corresponding author on any of these papers, right? That doesn’t absolve him of guilt, but at the same time I think you’re misplacing the blame. I am not sure why you protest this association. Prof Casadevall gave his expert view that these papers contain no manipulated data, only minor errors, and that Prof Vecchiarilli’s integrity is not to be doubted. What was your point again? I did not get your point about FACS plots. Indeed, they look pretty different to me. My bad, I forgot to mention that the cell populations are shifted in Vecchiarelli et al 2002. Otherwise they do look same though, see red box. It looks more than just a simple shifting… Maybe I’m wrong but I think besides shifting, they stretched it a little bit to fool observer… Strange… These guys still manipulate their data in really outdated ways… I don’t know when they want to start to learn modern data fabrications rules… These plots could be created easily by some random sampling and a bit scripting and nobody can catch them never… sigh! Now some interesting anonymous comments by an “Conospermum Wycherleyi” were posted on PubPeer on 20.04.2019. This is peculiar in many respects. Whoever did this, seems to be responding to my reporting, trying to help Dr Casadevall. Not sure if this is helpful though. What I personally find worrisome, is that PubPeer moderation not only allows such trolling, but on other occasions repeatedly prevents posting of actual evidence, which was even verified by journal correction. How much of evidence never gets to appear on Pubpeer because it targets “protected” authors or comes from undesired commenters? Huh, if someone has other opinion than you, you call it “trolling”. I’m not sure if my comments are trolling, then what is the name of your blog?! Also, you should learn to not accuse people with sloppy evidences of “this picture is so “similar” to this one, so this is a case of research misconduct”. I think you received final coup de grace from Casadevall himself by saying: “I don’t know if you have ever assembled figures for publication”. Behold a likely duplicated loading control, I am looking forward to Dr Vecchiarelli’s explanation how this is most appropriately reused same blot membrane, with extra insights frome PubPeer troll Conospermum Wycherleyi who is too chicken to sign his passive-aggressive diatribes. The problem with your replies is not your anonymity, but your defense of the questioned images without an explanation. Rather than questioning/defending the motives or skills of the people involved, question or defend the work. If you don’t do that you will be viewed as a partisan and your views disregarded. If not for your English, I would suspect you being Brandon Stell. So you are one of those Jessus-worshippers, this is what’s it about? Not Casadevall then? annon spoiler alert: Conospermum Wycherleyi is a shrub.